Brian Kelsey is a Senior Attorney at the Liberty Justice Center. He litigates constitutional law cases in federal court, advocating for the rights of economic liberty and free speech throughout the country. Brian has practiced law since graduating from the Georgetown University Law Center in 2003. Prior to working for Liberty Justice Center, he started his own law firm, where he focused on commercial litigation defense. He began his career as a civil litigator at a medium-sized law firm in Memphis, Tennessee. Outside his work at Liberty Justice Center, Brian serves as a Tennessee state senator based in the Memphis suburbs. He is the only legislator in Tennessee history to sponsor two successful amendments to the state constitution. 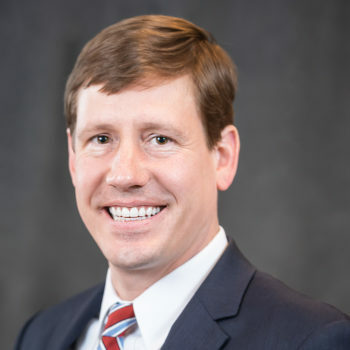 Brian has taught constitutional law and government relations at the University of Memphis and its law school, the Cecil C. Humphreys School of Law. He received his B.A. with honors from the University of North Carolina Chapel Hill and is an avid college basketball fan. Brian is a member of the Tennessee Bar Association and is admitted to practice law in state and federal court.